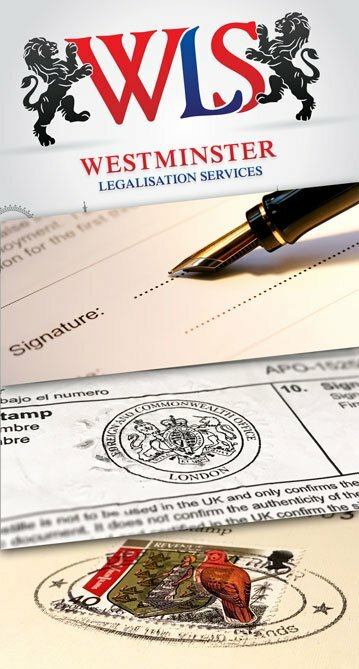 Westminster Legalisation Services LTD, is a well-established company based in central London (Charing Cross), a stone’s throw away from the Foreign and Commonwealth Office’s main building, just opposite Trafalgar Square. We have a wide-ranging experience in legalisation and certification of documents for use in any jurisdiction worldwide. The company was officially incorporated in London in January 2017, to provide Apostille and consular legalisation for documents required to be used overseas, consultancy in Italian dual citizenship law and certified translation in a variety of languages, especially for Italian dual citizenship application. We work closely with individuals, worldwide consulates and embassies, lawyers and international corporations to provide a way through the complexities for certification and legalisation. Emerson De Queiroz Barbosa, Founder and Managing Director of Westminster Legalisation Services LTD, discovered his passion for Law when started working in one of the largest notarial firms in the City of London back in 2007, Soni & Co. Notaries. He achieved great knowledge in notarial and legalisation services and applied his knowledge gained throughout all those years of experience in notarial practices to build his own business, which started in 2016 when left his former employment at a notarial firm in Westminster. We developed and implemented a business that will suit your requirements and fulfil your expectations. Our principle is to work in partnership with our clients, use our expertise to anticipate to them the most up to date requirements for each foreign jurisdiction in order to prepare the documentation accordingly since the certification part to avoid rejection when submitting to the relevant public authorities, such as the Legalisation Office counter and/or foreign consulates and embassies based in the United Kingdom. We are registered with the Information Commissioner’s Office (ICO.) and well prepared to handle your personal data with security and according to the requirements under the Data Protection Law. Emerson was born in Brazil, with Italian heritage, and moved to Italy when he was 16 years old to complete his high school in business studies at Istituto Tecnico Commerciale Paolo Boselli in Turin. In 2007, he moved to England to improve his English and has been living in London since then. In London, he started his legal career, working initially as a messenger in one of the largest Notarial firms at the time located in the City of London and after years of experience, was promoted to Notary Assistant and Legalisation Services Administrator, before returning to Brazil to start his law graduation. Between 2011 and 2014, in Brazil, he attended his law graduation course at FUMEC University in Belo Horizonte, where he also had the opportunity to work in a large and prestigious law firm, gaining knowledge and work experience in corporate law. In 2015, after returning to London, he started his professional course in English Law and Practice with CILEX Law School and in 2016 took the biggest step of his life, left his employment in a Notarial Firm in Westminster to incorporate his own company, Westminster Legalisation Services LTD.